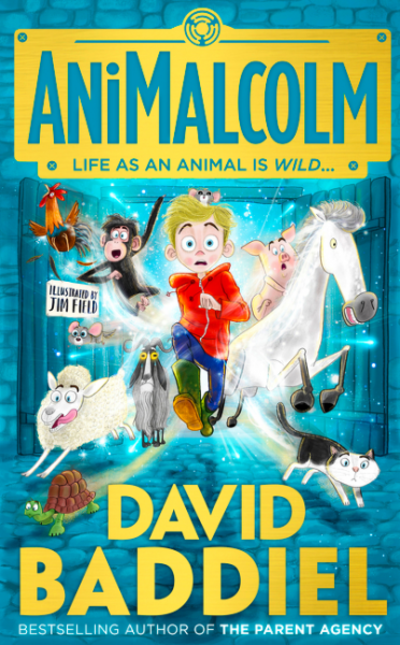 British comedian and children's book author David Baddiel, returns to the bookshelves this (Australian) summer with his forth book; AniMalcolm published by Harper Collins Australia. 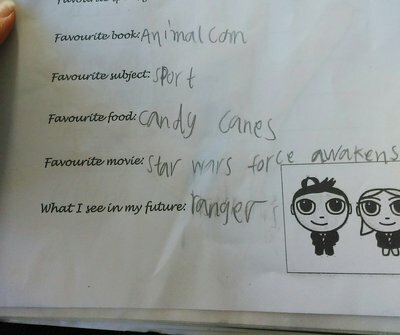 Let's start by saying, Mr.8 really enjoyed reading AniMalcolm, mentioning it on his 'best' list at school (along with his favourite food being candy canes!). AniMalcom follows the story of a Grade 6 boy, Malcolm, who doesn't like animals very much, despite his entire family being the opposite. Malcolm wanted nothing more than a laptop for his birthday, but instead, got a small, fluffy, pet Chinchilla! On the upside, Malcolm's parents agreed to his inclusion on the Year Six field trip. You could say Malcolm was all out of luck when he found out his much anticipated school trip happened to be a visit to a farm! However, it is on the farm when things really do change for Malcolm, in more ways than one. Malcolm starts to see animals, and humans too, through different eyes. Malcolm, you could say, learns exactly what it is like to be an animal; to talk like a cat, eat like pig, and to walk on trotters. As mentioned before, Mr.8 really enjoyed AniMalcolm, because it made him laugh, a lot! 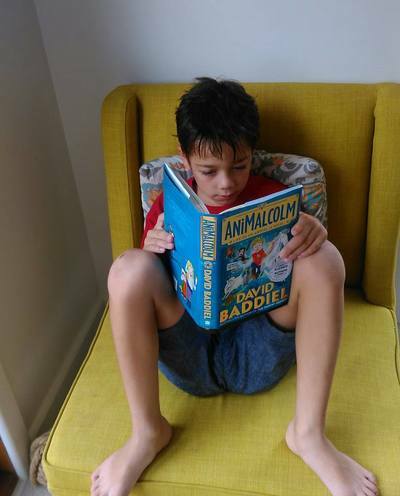 Although he is of an age where he reads by himself, he read out the funny parts of AniMalcolm, and I can see why he liked the book so much. AniMalcolm; another win from David Baddiel!